Salle d'Etroit is a full service fencing academy located in South East Michigan. We offer group classes and private instruction. Our 4200 square feet of raised floor holds up to six electric strips and space for one on one lessons. We have an on-site pro-shop for basic equipment needs. 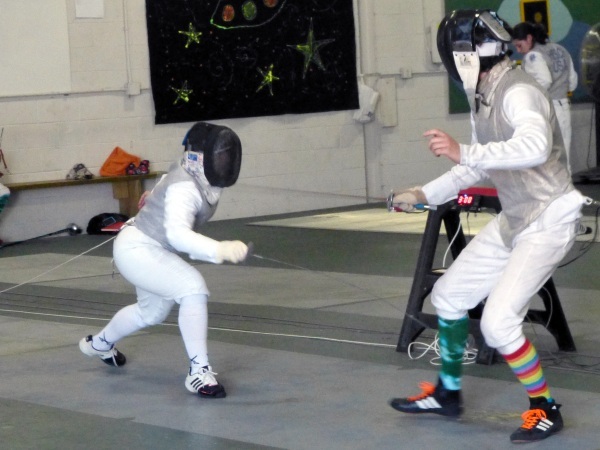 Our US Fencing Association sanctioned club, the Underground Fencing Organization, hosts several tournaments throughout the year. Looking for equipment? Our proshop sells new and used equipment. We take used gear for store credit. Already a fencer and looking to practice? Want to get in shape? Looking for a workout that's fun and engages you mentally as well as physically? Want to try something totally different?